I’m finally back in the studio after a summer off. 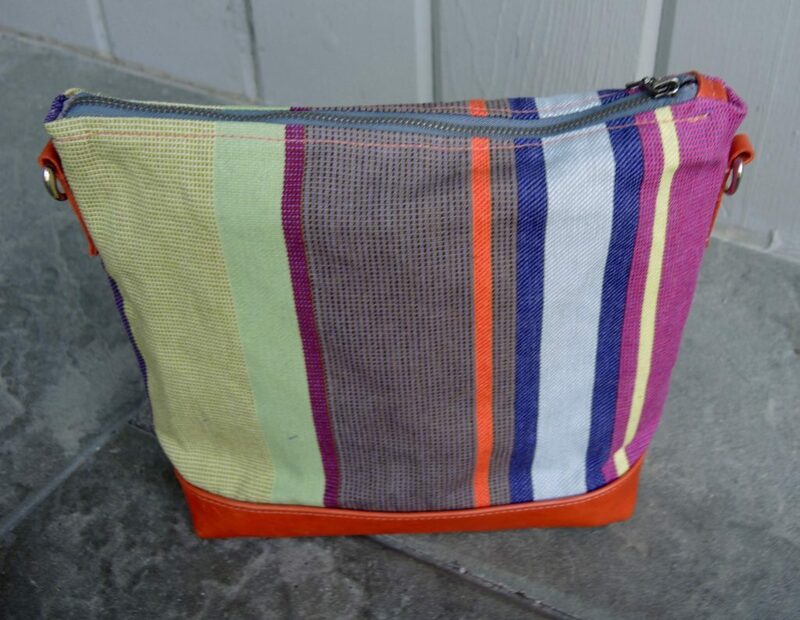 This is the first new bag. 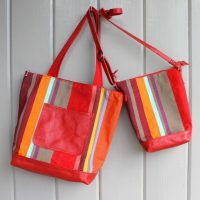 Made from my favourite striped catalan fabric, it is accented with great orange leather. Soon to be added–an orange leather adjustable cross-body strap. 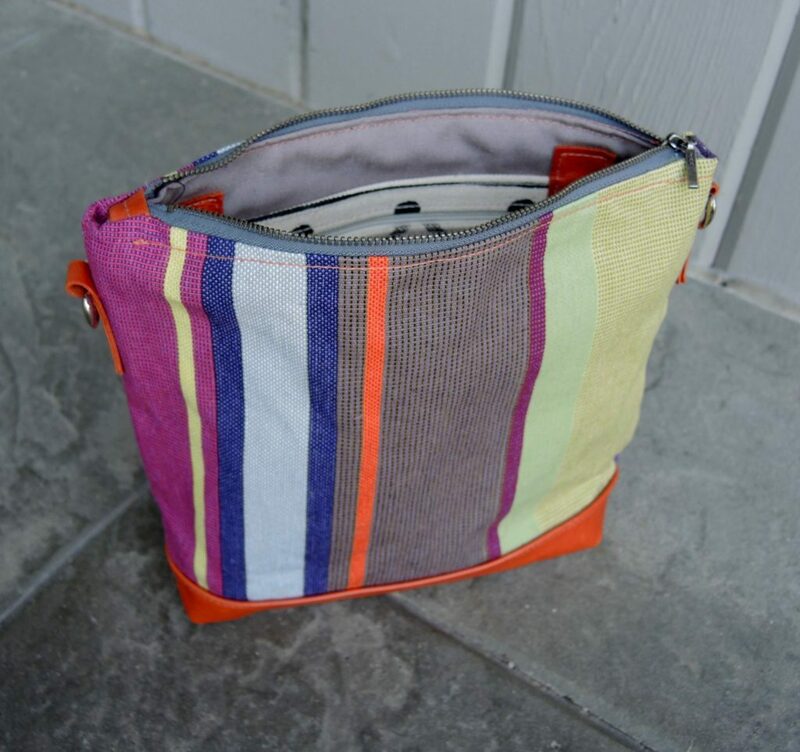 This is a great day bag with metal zipper closing, inside double slip/zip pocket, and water-resistant lining. 10.5″ wide, 8.5″ tall and 3″ deep.